A beginner's guide to setting image targets for augmented reality applications using Vuforia. Vuforia is one of the many SDKs used for image tracking in AR applications. There are Entiti AR, Layar, Wikitude, and many more SDKs available. Some are free, and some are paid. But I personally prefer Vuforia for image tracking. It is free and has a better image tracking system. You can use Vuforia for word recognition, image tracking, targets, etc. We will be using Vuforia for next few tutorials on AR. You can learn more about Vuforia on its official site. So, let's get started with this Vuforia SDK tutorial for beginners. To get started with this Vuforia SDK tutorial for Unity, you need to download the Vuforia SDK for Unity platform. You can download it from the Vuforia official website. 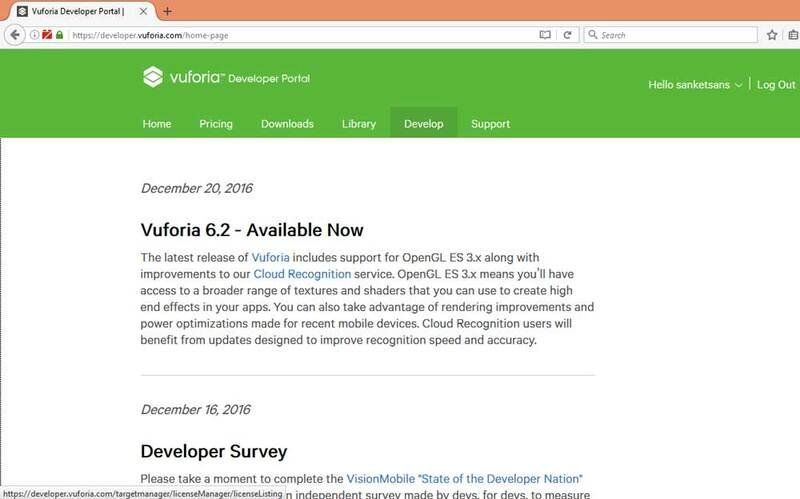 Once you have it downloaded, open the Vuforia developer portal. If you are using Vuforia for the first time, then you will need to register on its developer site. Once you have done that, go to its "Develop" section. 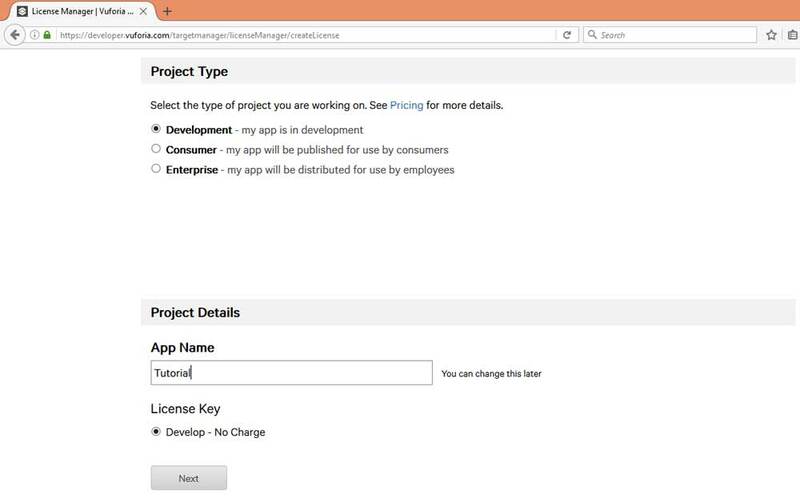 Add a license key if you are creating a new project, or you can use an existing one. Fill in the details and name it. It does not need to be same as of your Unity project. Confirm the license key in next step. 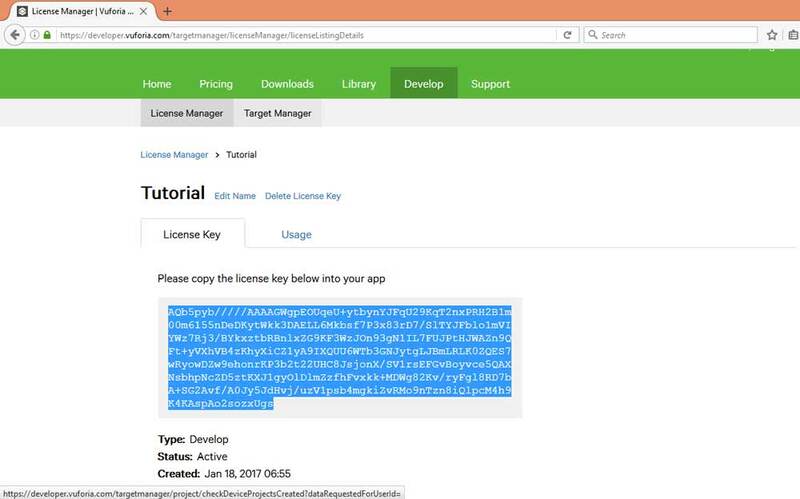 The encrypted looking text is our license key. We will use it when we create our Unity project. Once you are done with it, you can create targets for image targets. Browse "Target Manager", which is adjacent to "License Key" option. Add a new database for the image targets. After that, you can select the database that you just created. 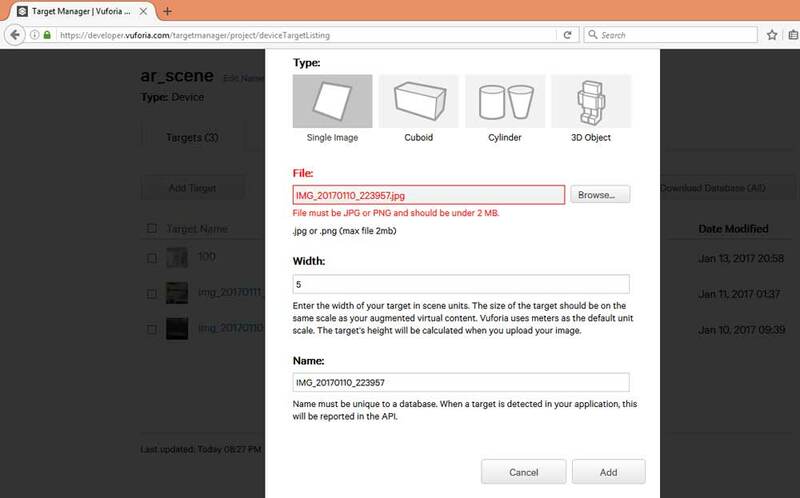 Choose "Add Target" to upload the images you want to track. The image size you are uploading should be less that 2MB. Otherwise, it will give an error. You can give any width to the image. You can resize the image with this image resizing tool. Once you have successfully uploaded the image, you can see the number of augmentable stars. The more stars, the better and easier the tracking will be. So, try to have an image with maximum stars (5). You can also see the tracking sites on your image. Here, I made my laptop's keypad the tracking image. Click on the image and, in the new window, show features below the image. It will show all the tracking points for the image. 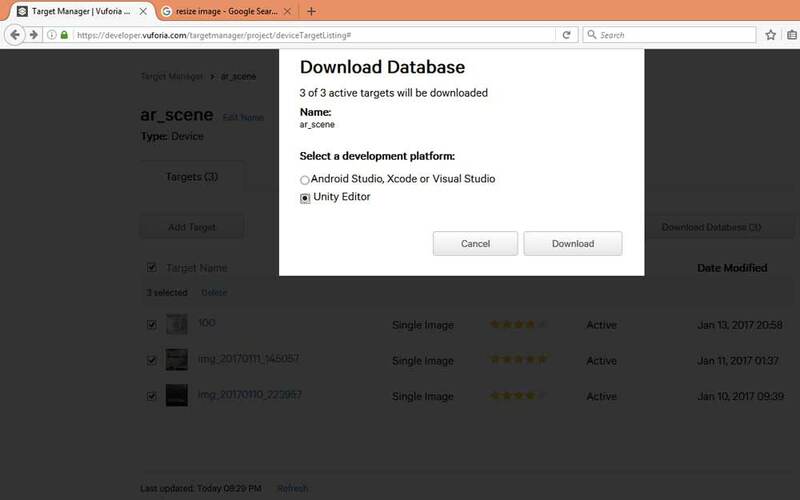 Finally, you can download the database we just created through our Vuforia SDK tutorial. Make sure that the development platform is Unity. We will be using the downloaded database and Vuforia SDK in the next tutorial to make a simple AR application. 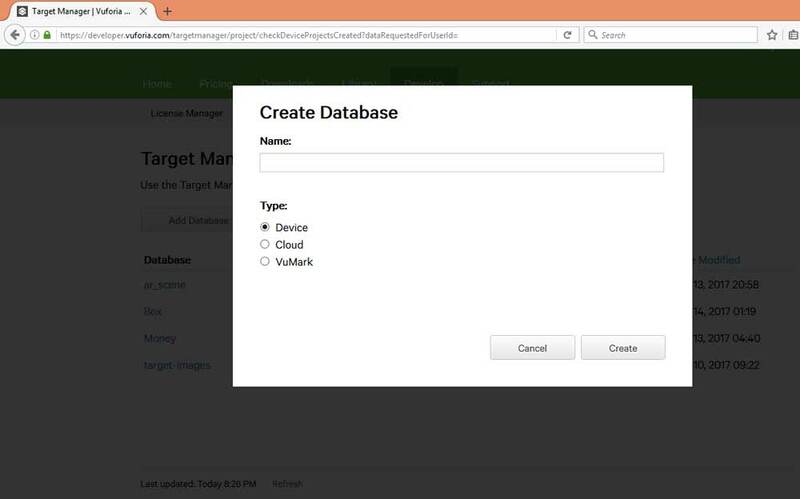 Hope you were able to set up the platform using this Vuforia SDK tutorial. Keep following me for more easy tutorials on augmented reality or virtual reality. You can also connect with me on our online channel in Slack to get more guidance. An android developer, interested in making a mark in the betterment of society through the skills I have acquired while working with various teams and individuals. I pursue a strong desire to learn about Virtual Technologies and like to teach kids at schools to contribute towards open source whenever I am free on weekends. I love playing on my xbox. Fun and people loving. I love going to hackathons and build projects over a weekend.